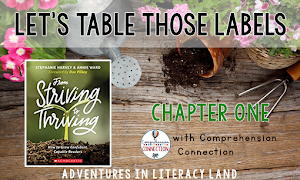 Throughout the life of our Literacy Land blog we have posted several times about the lessons within the Comprehension Connections book by Tanny McGregor. 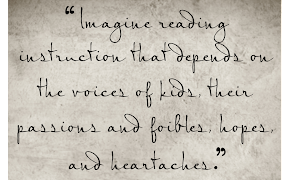 Her lessons have proven to make comprehension strategies "come alive" for my students. Several months ago Tanny asked to do a lesson with my students....ummmm....YES!!!! Her lesson centered around theme and my students left with a strong foundation of the meaning and purpose behind theme. 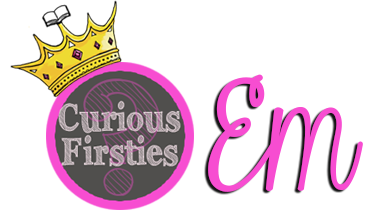 I go into great detail about the lesson and everything that took place over at Curious Firsties. Within the lesson, Tanny used three different texts. She called them "text cousins." They were text cousins because they were each different but share the same possible or similar theme (much like cousins). She explained this visually with a triangle and a heart. The three texts make up the triangle and the heart is the "deeper" piece that they share. She started with the poem. The students heard the poem, read the poem about 2-3 times. Then they had a quick discussion about the theme. When Tanny moved on to the second text, Each Kindness, she used only the illustrations. And not even all the illustrations. Just a few of them. Then students had a discussion about theme. The third text used was Red. Tanny read this story aloud and stopped briefly at certain points to discuss what was happening. Then there was a discussion about the theme. The lesson was probably 45ish minutes long (I was not watching the clock). Tanny used three different types of texts in one lesson within that time frame. Each piece of text was provided so much meaning and connected well to the lesson. The poem by Jeff Moss was short but immediately the students understood that someone was being left out, someone was being picked on, and someone was being mean. I have no idea about the actual story from, Each Kindness, but we gathered quite a bit of information from the illustrations. A quick discussion and some "turn and talk" time was completely sufficient for the students to make connections between the poem and illustrations. The third text was read in its entirety. Red was a beautiful story about the strength that children can have and it served as an excellent way to bring all three texts together. But Tanny did not have to stop on each page and have a discussion for these connections to be made. The story was powerful and clear enough on its own. 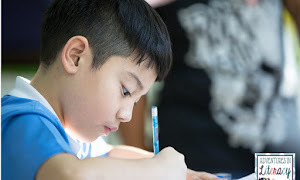 As I reflected on the lesson, materials, and pacing, I realized that I would not have thought to use multiple texts in one sitting, in one lesson. I tend to use multiple sources over a period of days. And I would never look at only a few illustrations from a picture book. No way!! I would read the whole story, of course. This lesson opened my eyes. When planning lessons, I need to think outside my comfort zone. Look at how I can make these text to text connections stronger for students by using multiple sources of information. 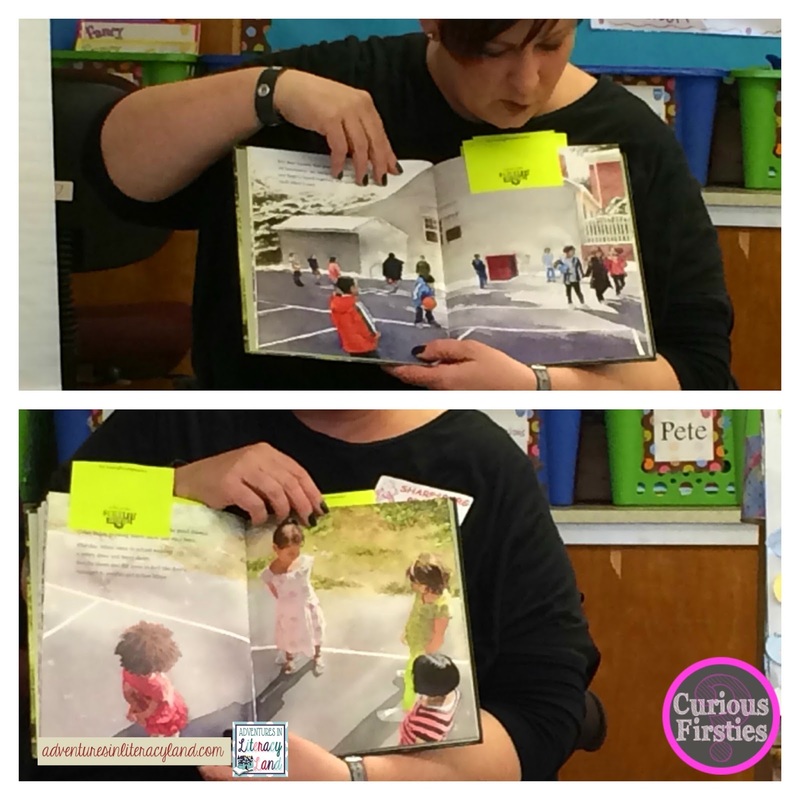 My teammate, Karen, decided that she could pair some nonfiction texts with fiction texts by merely using certain aspects of books (such as photographs, maps, or diagrams). I will be sitting on this new learning for a little while. I have a good feeling that it will be changing the way I approach lessons. What are your thoughts? Do any book pairs come to mind right away? Thank you so much for reading! This was probably one of the most exciting times in my career on the professional development end. I can't wait to explore the possibilities of using multiple texts in one lesson! So simple...but I just didn't think about it! Em, I have enjoyed both of your posts about Tanny McGregor. 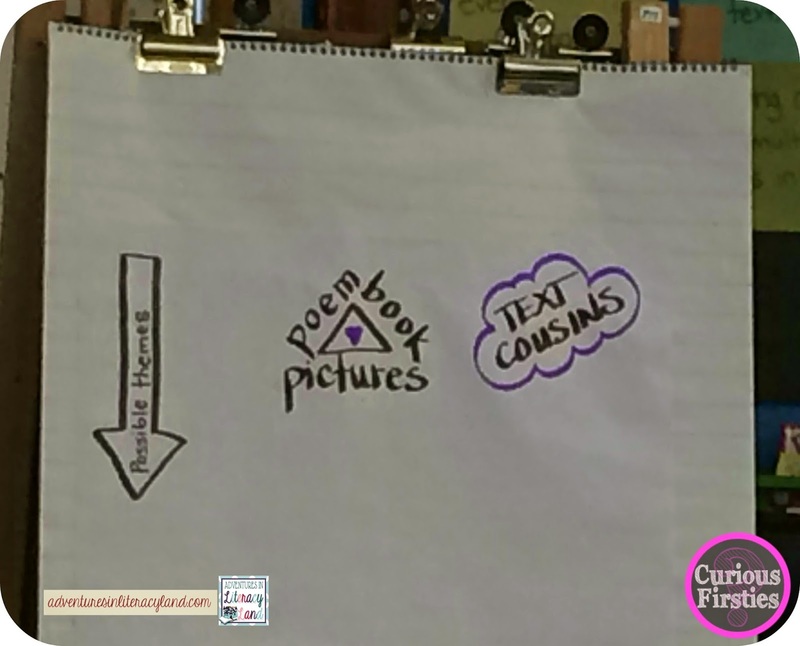 I love this idea of text cousins and using them in a 45 minute lesson! When I first started teaching in 1989, the anthologies at the secondary level were arranged by theme. Within each unit, there was a mix of genre that related to the theme. The Treasures basal we used in grades K-3 was organized by a broad topic such as relationships and had a mix of genres. I think this is a good start to using and applying the information you shared about text cousins!